The leader in web-based systems, LawyerDoneDeal designed and implemented one of the first web-based systems for mortgage lenders of all sizes throughout Canada, from small credit unions to large chartered banks. Whether you're processing a mortgage loan application, instructing a mortgage transaction, or responding to requests for mortgage discharges, the LDD Virtual Intermediary Program (VIP®) allows you to get the work done quickly and accurately. 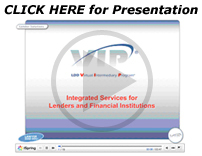 VIP, a fully web-based system, is our flagship application for mortgage lenders. It automates the mortgage instructing, document delivery and report gathering process between mortgage lenders and lawyers/notaries. A national system imitated by others, it handles all your mortgage transaction requirements. VIP has been successfully deployed across Canada since 2004. Click here for more. For your personal tour and to find out how other lenders have benefited from our services, please complete the following information.